Exciting things for me and my labelmates, D Nilsz and Kristina Camille. 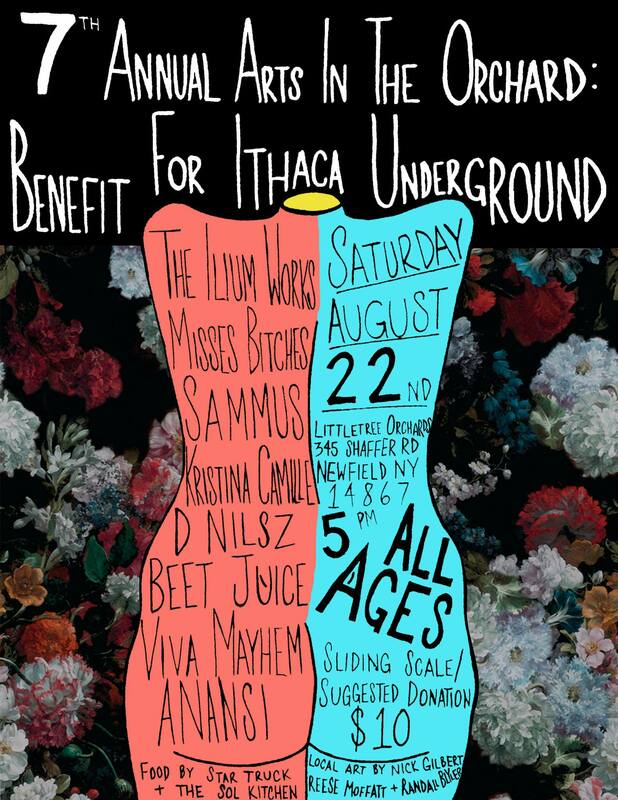 On August 22nd we will be joining some of Ithaca’s most talented artists for the 7th Annual Arts in the Orchard, a benefit concert put on by Ithaca Underground. The all-ages show will feature food and local art from 5pm-until at Littletree Orchards (345 Shaffer Road) all for a suggested donation is $10. Make sure you RSVP and bring some money to contribute to the cause. See you then!